The base with struts 8x8m is complete with a 6m height tower sections type GR6L. An extremely high freestanding height can be reached using GR6L tower sections due to the optimized design and the high strength steel. All base details were designed to facilitate assembly operations and to reduce the time required. Aluminum ladders and hot galvanized rest platform (internal accessories) are removable. Available as an option as a system to climb the first tower section from the exterior. The ladders and the platforms are fully hot galvanized. The load includes accessories but does not include base ballasts. 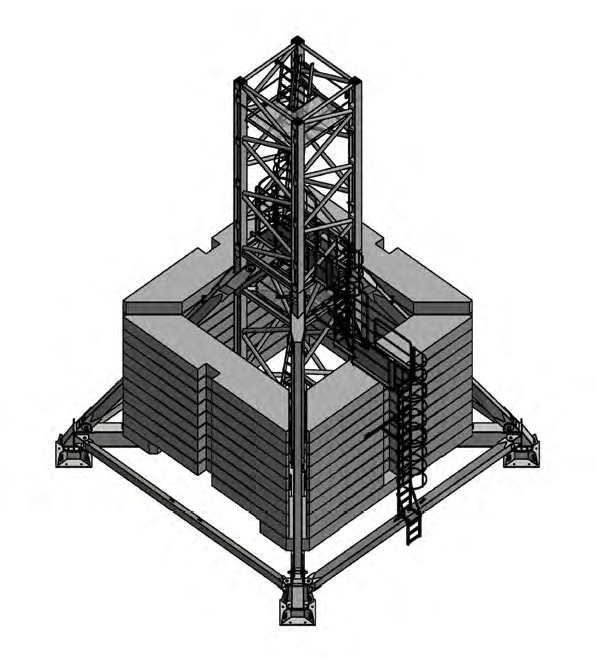 Optional: Complete external access to the first tower section.